Canvas prints look fabulous, whatever their subject matter. They brighten up the walls of many a home – but what is the best way to hang them, and where will they look best? 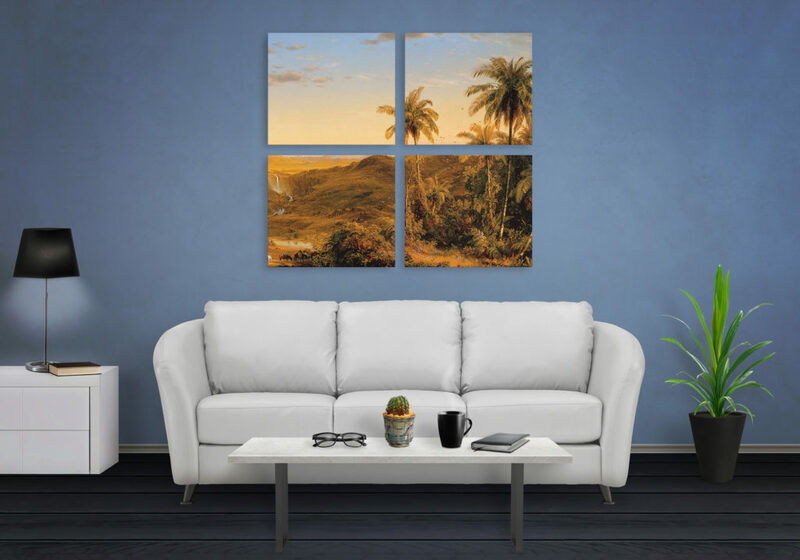 Here, we offer a simple, step-by-step guide to hanging your new canvas print. This sounds easy, and if you’ve already got a place in mind, it probably is. However, there are certain factors you need to take into account when deciding where to hang your print. For instance, the amount of light which falls on the wall should be considered. Choose a dark corner, and you will not be doing your print justice. Pick a wall where the sun streams in most of the day, and you risk exposing your canvas to sun damage. The best place is somewhere in natural light, but not too sunny. Most people like symmetry in their wall art,so, for example, they will hang a picture both sides of a fireplace. This is naturally pleasing, although clusters of pictures also look good, and provide a focal point. Just don’t overdo it, or it’ll look too overcrowded. Wherever you decide to hang your canvas print, make sure to check with the other members of the household, before you get your hammer out. You don’t want to have to move it later because your spouse thinks it’s in the wrong place! There’s one more important factor to consider before hammering any nails into a wall. Check carefully whether you’re going to hit any water pipes or electric cables. It’s better to be safe than sorry. Hanging a canvas print couldn’t be easier. We provide an easy to use hanging kit with every print you buy, so it really is simple. The hanging kit consists of two parts – a square plate or bracket, which you attach to the frame of your photo, and a picture hook, which attaches to the wall. For your convenience, our hanging kits can be used on almost every wall surface. All you’ll need in order to hang your print is a screwdriver, a hammer and a tape measure. There’s no need for anything more complicated. Firstly, attach the bracket to the centre of the top of the frame (on the reverse of your picture, naturally), using the screws provided. Ensure you put it in the centre by measuring it first. You don’t want it off-centre, because that may make your print lean to one side. Next, attach the picture hook to the wall, using the nails provided with the kit. Again, make sure you place it straight, or your print will lean to one side. Then, simply hang the bracket onto the picture hook. 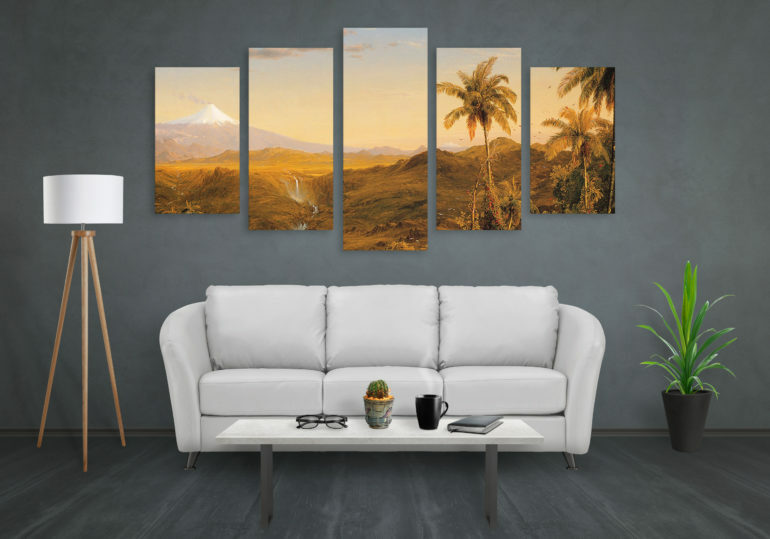 Your canvas print should sit neatly flush with the wall. That, apart from a dust every now and then, is all you need to do before you can enjoy your beautiful canvas print for years to come.